May 3rd - 5th - Annual Encampment of the Department of the Chesapeake in Ellicott City, MD. Watch for forthcoming detailed information on this site, the Department of Chesapeake SUVCW site and the Auxiliary Facebook page. 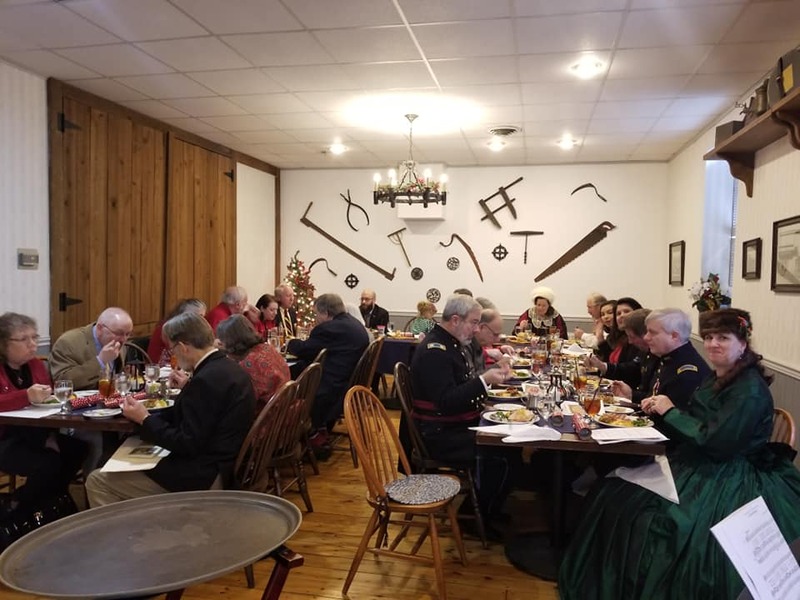 EMMITSBURG, MD (December 16, 2018) – Twenty-five Sisters, Brothers and guests from across the Department of the Chesapeake came together on Sunday, December 16 to celebrate the holiday season. The event was held at the historic Carriage House Inn in Emmitsburg, MD, an antebellum structure dating from 1857 which saw thousands of Union troops pass its front door on their approach to Gettysburg in 1863. 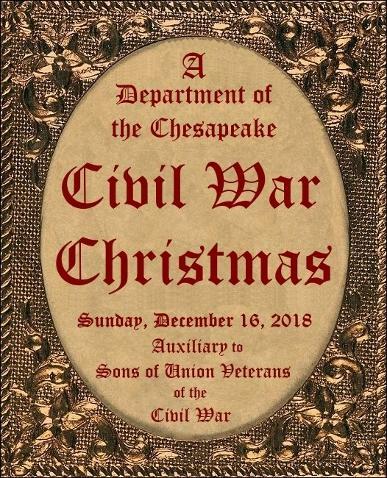 In addition to a holiday meal with all the trimmings, attendees reveled in Civil War-era games, period Christmas carols, Victorian “crackers,” Santa Claus trivia, a raffle and gifts. Of special note, two Christmas trees were decorated in historically-correct fashion to represent trees in the homes of a Union soldier’s family and a tree that might be found in a typical Union camp. 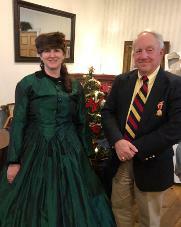 Hosted by the Department’s Auxiliary to Sons of Union Veterans of the Civil War, many of the Sisters wore period dress while several Brothers were in uniform or civilian attire of the era. In addition to Auxiliary President Rosemary Martin and Department Commander Faron Taylor, special attendees included Department Brothers Gene Mortorff and Mark Day, both past Commanders-in-Chief.